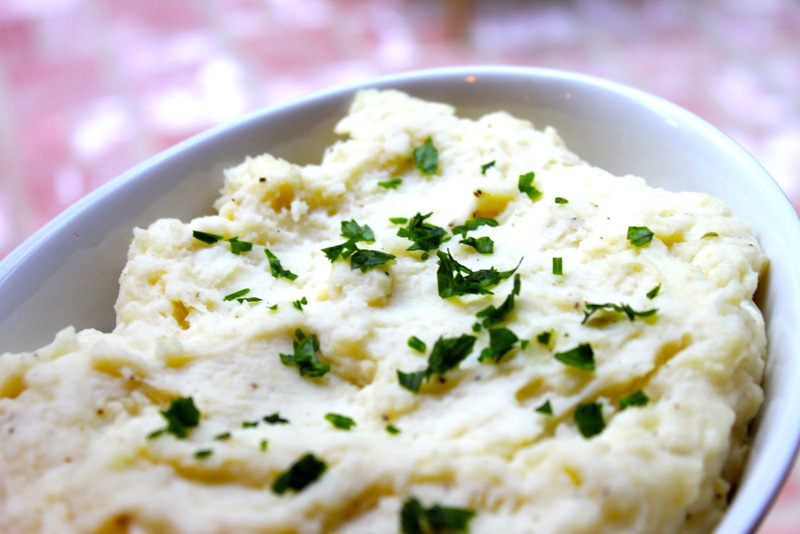 Quick, easy, & perfect for summertime! Try this delicious take on grilled fish tacos and make sure to check out the app below for keeping your food safe. Preheat gas grill. In small bowl, mix lemon juice, olive oil, chili powder, cumin, salt & pepper. 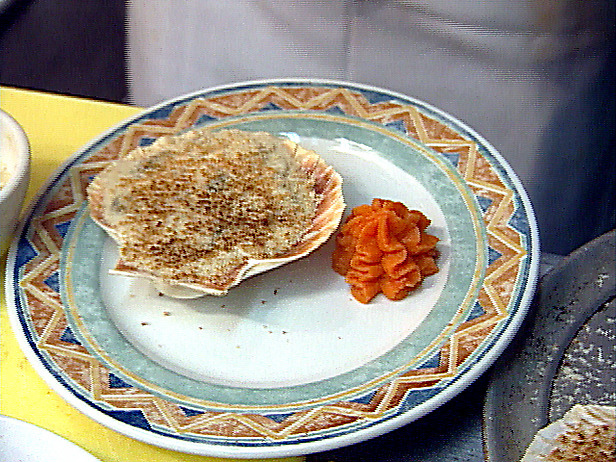 Place fish in baking dish and pour lemon mixture on top. Turn fish to coat both sides, cover, and chill for 15 minutes. Stack tortillas and wrap in foil. Cut 1 sheet of heavy-duty foil about 18″ long and spray with non-stick cooking spray. Place marinated fish on center of foil, wrap, and seal edges. Make sure to leave space for heat circulation. Reduce grill to medium and place fish packet on grill. Cover grill and cook for 10 minutes. After 5 minutes, turn fish and place tortilla packet on grill. Fish is done when it flakes easily with fork and tortillas are done when warmed (approximately 5 minutes). Let fish cool slightly and cut into bite-sized chunks. 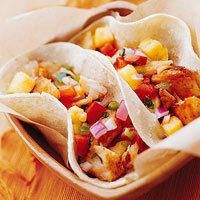 Serve fish in warm tortillas with your favorite spicy coleslaw or pineapple-mango salsa. BONUS – FOOD APP: Not sure how long to cook your favorite foods? 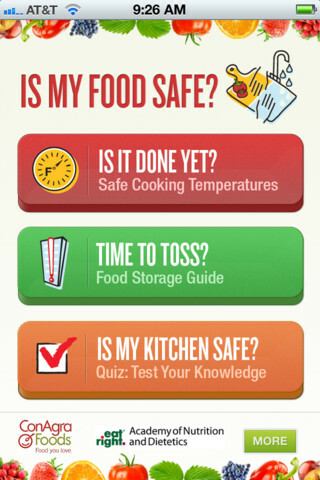 Check out the app on iTunes called ‘Is My Food Safe?‘. It includes safe cooking temperatures for food, information on how long to keep leftovers, and an ask-an-expert feature. Free for iPad, iPhone and iPod Touch. In honor of National Shrimp Day we’ve decided to bring you shrimp 9 ways! Pick your pleasure and enjoy! 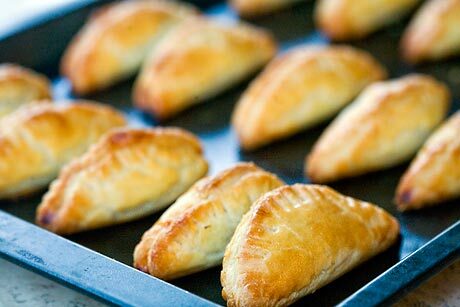 Empanadas originated in Galicia, Portugal but have become popular throughout Spain, Brazil, Indonesia, The Philippines and North America. Here in the states, we usually consider empanadas as tapas, but they are often served as main meals stuffed with seafood, pork, or meat & vegetables, and are served hot or cold. The name, empanada, comes from the verb empanar, meaning to wrap or coat in bread. 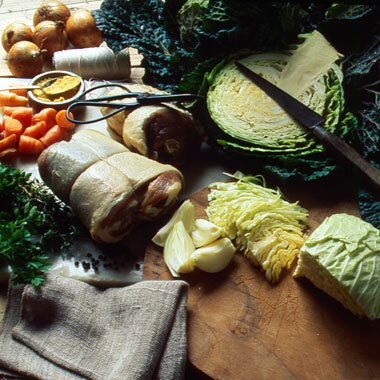 Here’s a great recipe to try – courtesy of La Tienda & Spain GourmeTour magazine. Photo courtesy of Simply Recipes. Empanadas are standard fare in most bars and restaurants, served as delicious tapas with a copa de cerveza or as the main meal. 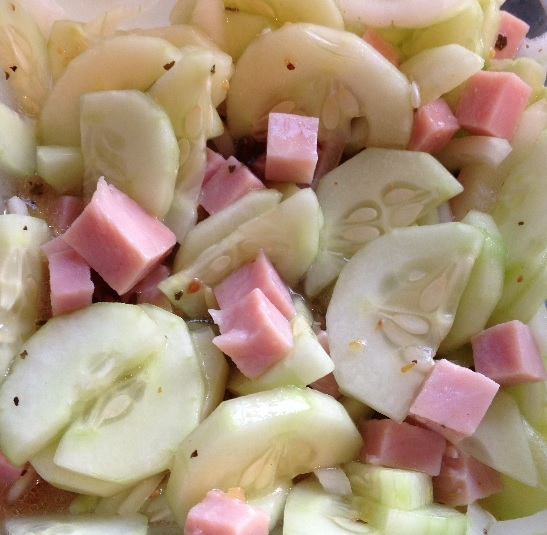 This is a wonderful recipe from the north-west of Spain. Put the sliced pork in a dish with paprika, 1 tbsp of the chopped garlic, oregano, salt and pepper, and let sit for 30 minutes. Heat the olive oil in a pan and fry the pork very quickly, removing slices as they are browned. 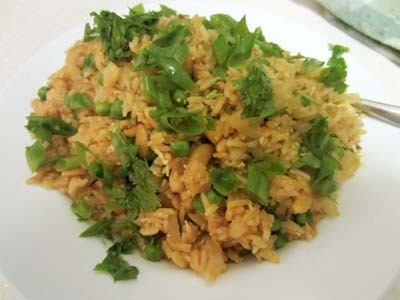 In the same oil, saute the chopped peppers, onions and remaining garlic until softened. Add the prepared tomatoes, parsley, salt and pepper and cook until the tomatoes are reduced and the sauce is very thick. Divide the dough in half. On a floured board, roll out to a thickness of 1/4 – 1/2 inch. Line a cake tin with dough. Spread this with half the prepared sauce. Arrange the slices of pork loin on top and add a layer of piquillo pimentos above that. Slice the boiled eggs and layer above other ingredients. Spoon on the remaining sauce. Roll out the rest of the dough and cover the pie. Crimp the edges together and trim the excess. Make a hole in the center for a steam vent. Put in a medium hot oven for 30 minutes. Brush the top with beaten egg and bake another 15-20 minutes. The crust should be golden and crispy. Can be served hot or cool. 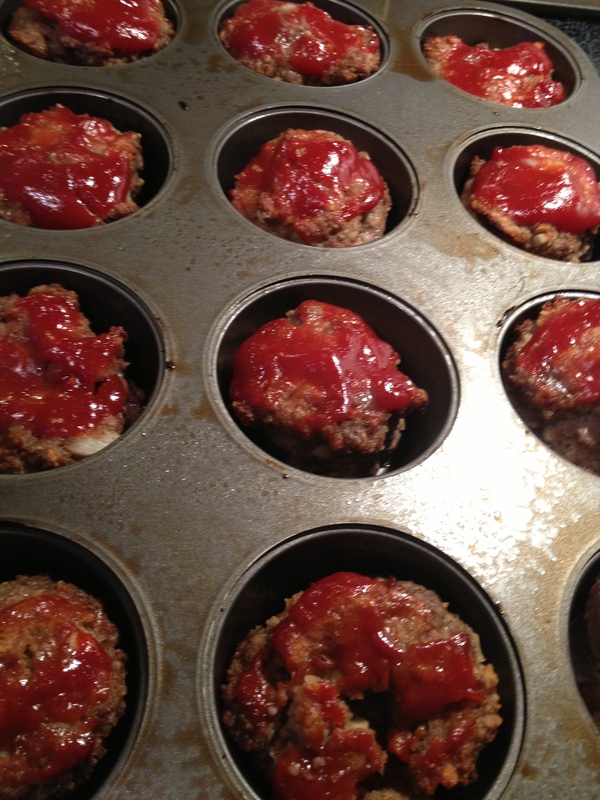 I am so excited to be posting my first recipe on our new blog. The recipe today features fresh herbs from my backyard garden, garlic, which I don’t know what I would do without, and some thick loin lamb chops, a nice change-up from regular meals of beef and chicken. And with springtime upon us what better way to fix a healthy dinner than on the grill. Hope you enjoy! In a small bowl, mix everything but the lamb chops. Stir to combine. Pat the basil mixture into both sides of the lamb chops and place in re-sealable zippered storage bag (aka Ziploc Bag). Marinate in refrigerator for at least 30 minutes. Remove the lamb chops from bag and place directly on preheated grill and cook for 15-20 minutes, turning halfway through. Chops will be between medium rare and medium depending on cooking time.